David Bolt clearly wishes he had never gone near the issue of asylum accommodation. The immigration inspector, who published a report today on the provision of housing for asylum seekers, remarks mournfully that its findings are “likely to please no-one”. It certainly has not pleased the Home Office, which having sat on the report since early July now “looks to underplay the evidence of poor accommodation standards” in its formal response. “This”, a doleful Bolt adds, “is unhelpful when it comes to building trust”. Meanwhile, the NGOs which deluged the chief inspector with evidence of substandard accommodation will probably feel that Mr Bolt has pulled his punches. The scope of the inspection was how the Home Office oversees and manages the “COMPASS” outsourcing contracts for providing homes to destitute asylum seekers, who are entitled to somewhere to live while their claim for asylum is being decided. In some ways this is well-trodden ground. The Home Affairs committee of MPs has an ongoing enquiry into asylum accommodation, following on from a 2017 report warning that “in too many cases Providers are placing people in accommodation that is substandard, poorly maintained and, at times, unsafe”. As long ago as 2014, the National Audit Office condemned the outsourcing firms for “poor performance, delays and additional costs for the Home Office”. 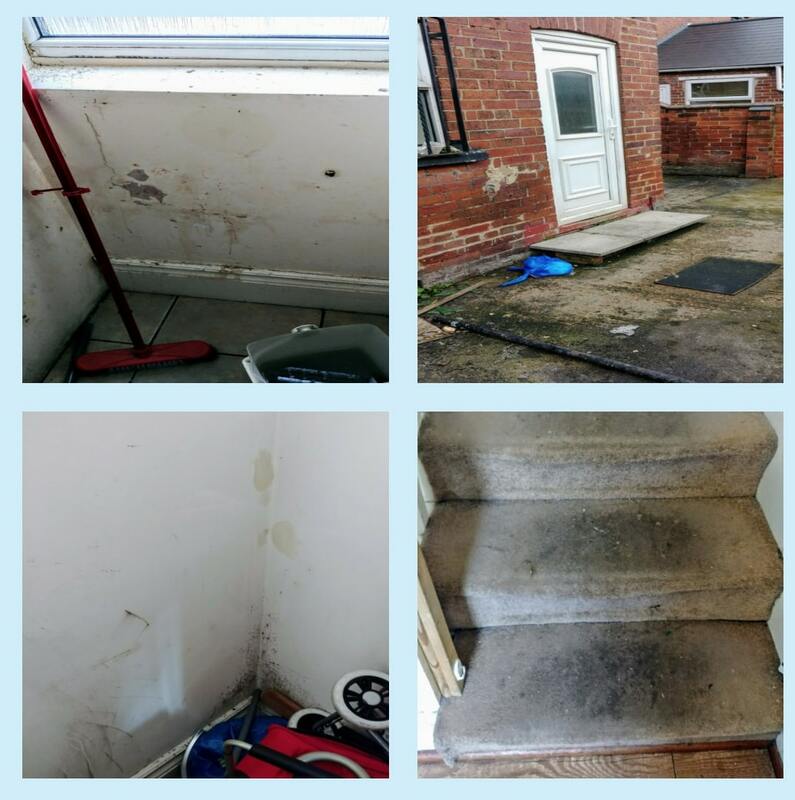 In 69 property visits spread across 12 towns and cities, inspectors saw examples of accommodation that had various visible defects (leaks, damp, broken equipment), poor quality furnishings and fittings, and were dirty. Inspectors also saw examples (fewer) of pleasant, well-maintained properties. 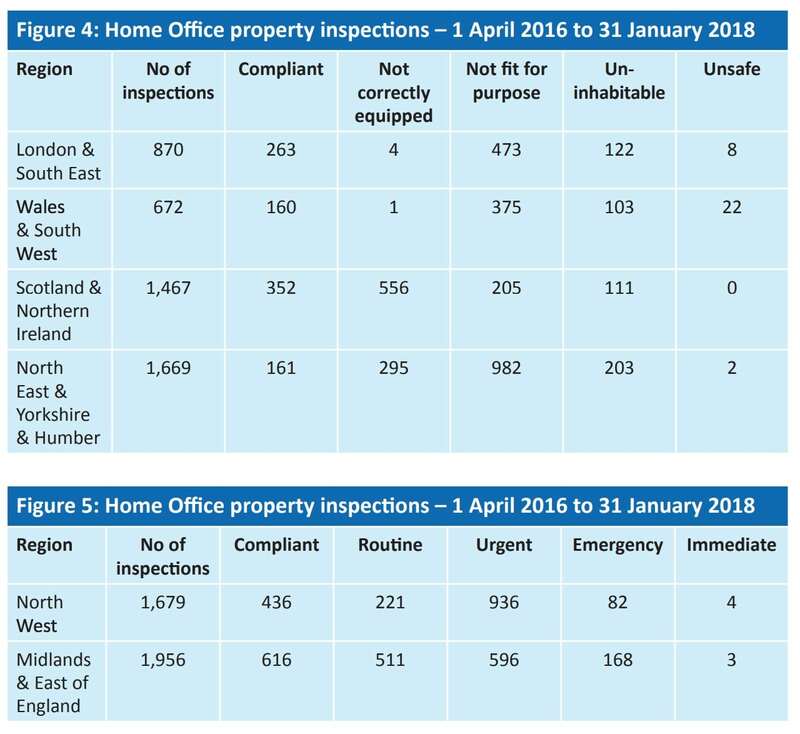 The Home Office retorts that 69 is not a very large sample, but only a quarter of the 8,000 COMPASS homes visited by the department’s own compliance inspectors in 2016 and 2017 met contractual standards. 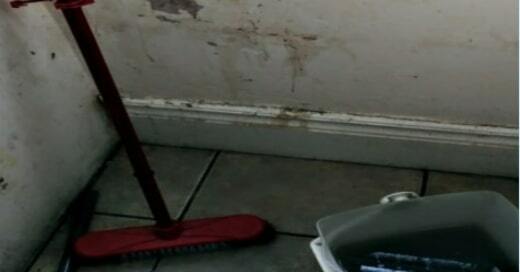 One home visited by Mr Bolt’s inspectors, housing seven mothers with young children, featured “blocked drains, an infestation of rodents, damp and mould”. 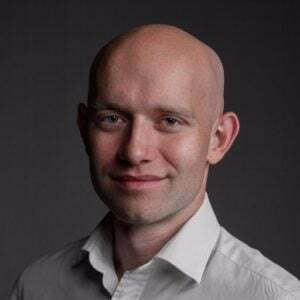 Among the inspectors’ other observations were that “some of the notices on display in [initial accommodation] properties could have been read as intended to intimidate. For example, one informed service users that they would be reported to UKVI if they brought their own food into the IA”. For all its efforts, this inspection found the Home Office too accepting of the limitations of the current COMPASS contracts and how things are, and too optimistic that the work it has in hand and the new contracts would bring about improvements. In reality, there is much more that it can and should be doing now, before September 2019 when the new contracts start. Otherwise, the same underlying issues with asylum accommodation are likely to persist, whatever benefits the new contracts may deliver. Mr Bolt made nine recommendations for improvement, all of which the Home Office accepted.